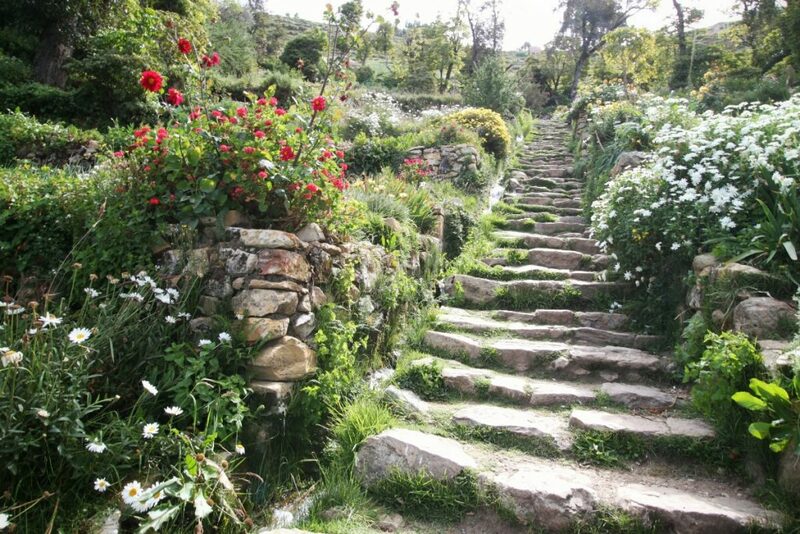 Mythical birthplace of the Inca Empire. As it turns out, there isn’t actually a lot to do in Copacabana, even during the madness of Easter. 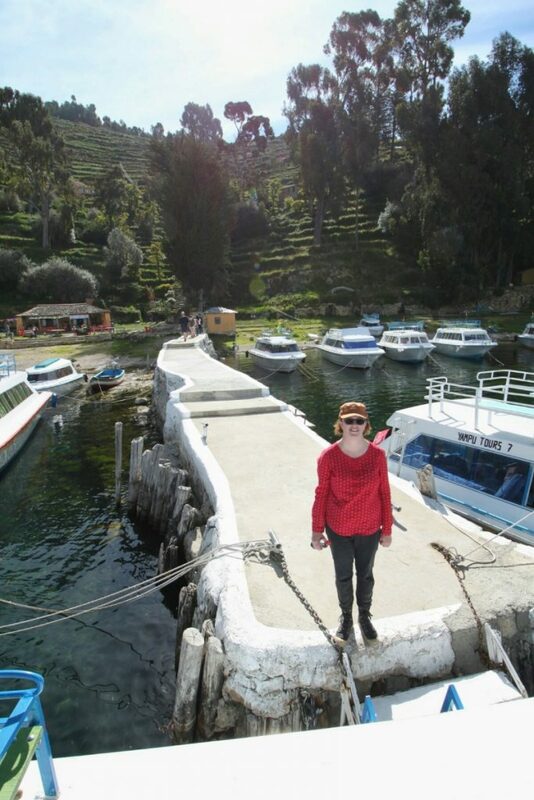 About an hour by boat is Isla Del Sol (isle of the sun). An excursion is the perfect escape. We did a day trip to the island, but there is also the option of spending a night or few, with several hotels at the southern end. Either way, passage by boat will cost you Bs 40, which is cheap (AU$8). Our boat dropped us off at the northern end, and would collect us from the southern end a few hours later. It was our job to be there on time. 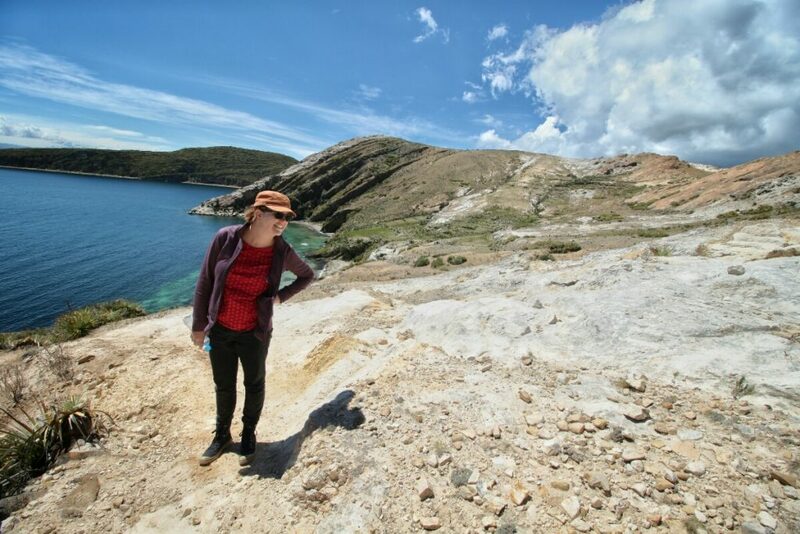 It’s about an 8km walk along the spine of the island. 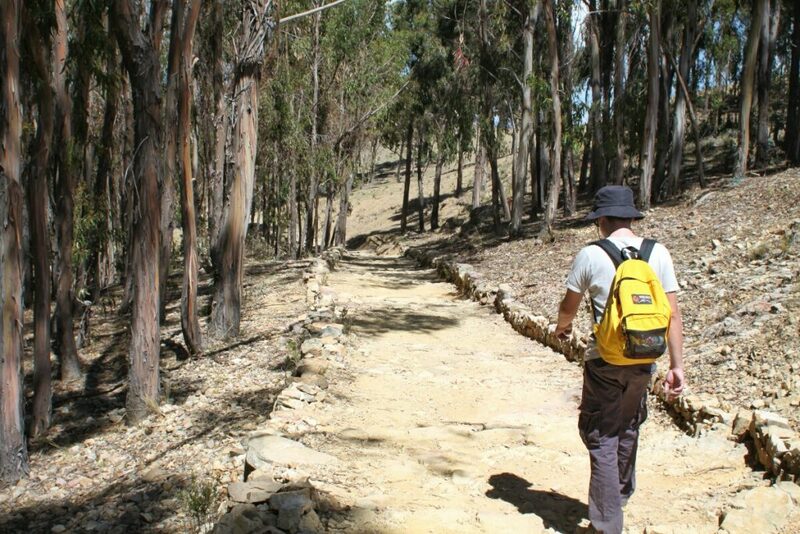 The walk is hilly, and you have to remember this is Lake Titicaca, so you are at 3800m before you even start. 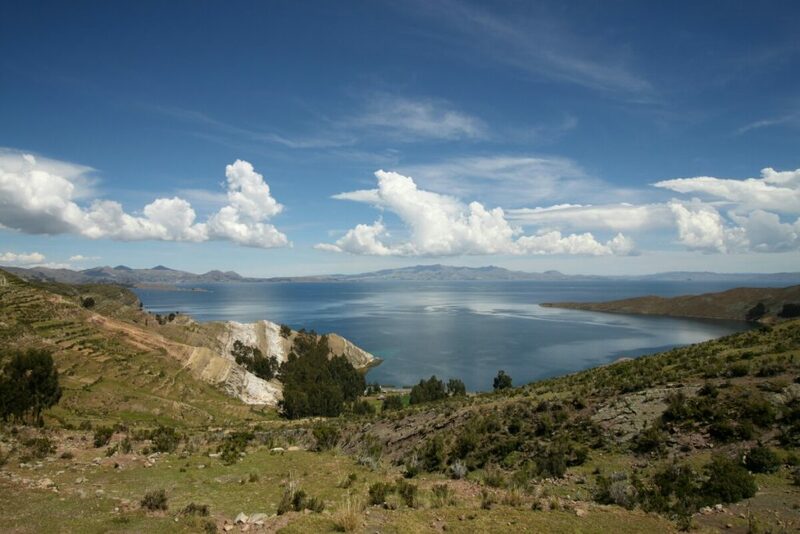 Near where we disembarked are Incan ruins, watching over the lake. We did a bit if exploring and had a snack before starting the walk. Most hotels in Copacabana will sell you packed lunches to bring with you, which is a good idea as there is no food until the village on the southern tip. 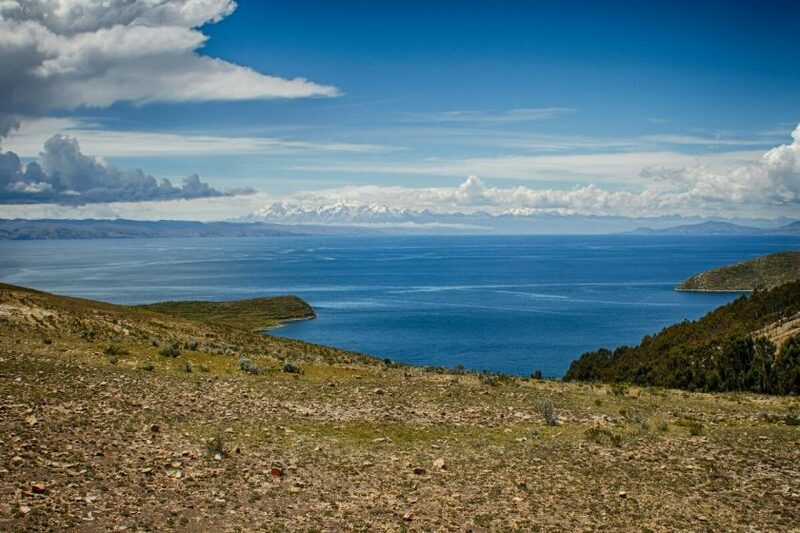 The northern end of Isla Del Sol is a barren, rocky landscape. Small Hardy shrubs are scattered amongst the gravel. 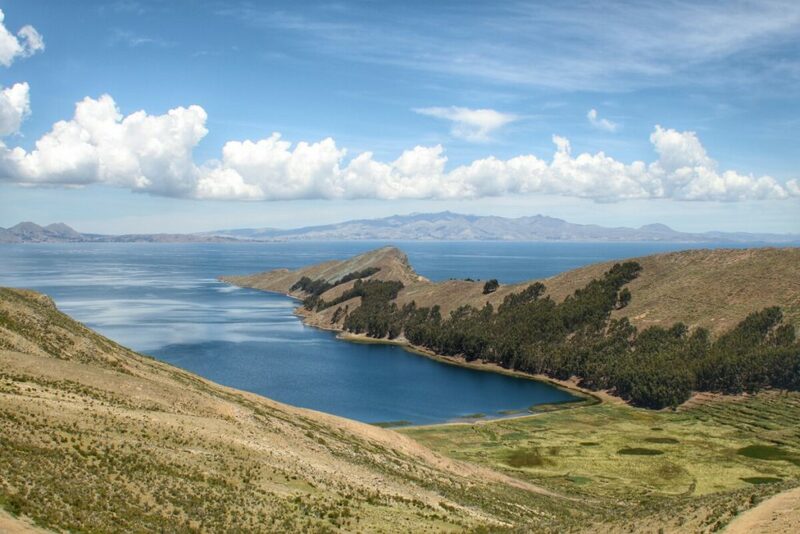 However, as the highest end of the island, you are treated to spectacular views of Lake Titicaca. We stopped for lunch around halfway, looking over this picturesque bay. As you continue south, the elevation drops and the landscape changes dramatically. The bare rock and gravel gives way to eucalypt forest. Once again, these gum trees give the illusion of South Australia’s mid north. The Flinders Ranges or Bolivia? Despite the island being very popular with tourists, most of the time there was at least 100m between us and the next person, so it felt fairly secluded. 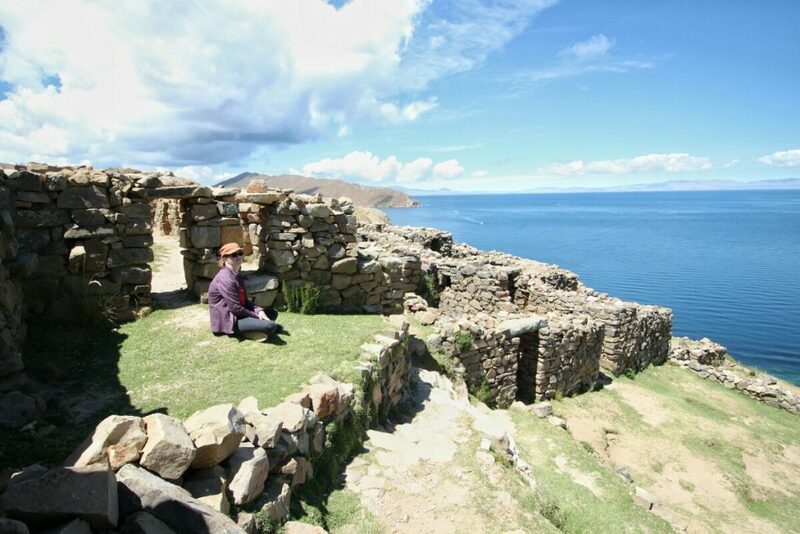 At the southern end of the island is the picturesque village of Yumani. It’s filled with hostels and pizza places and women selling handicrafts. The main road snakes its way down to the dock. I can see why people would stay for a few nights, but in the whole I think I preferred the experience at Amantani. We arrived at the village with enough time for a snack before the boat took us back to Copacabana.